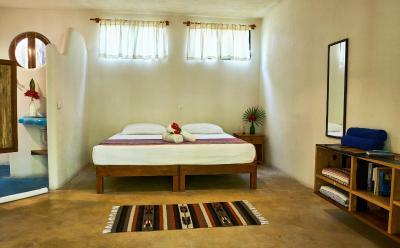 Lock in a great price for Hotel Dos Ceibas Eco Retreat – rated 8.4 by recent guests! Location Location Location and the two dogs:) staff was super friendly as well! Food was delicious! Great staff. I would not recommend to stay at the rooms close to the road though. 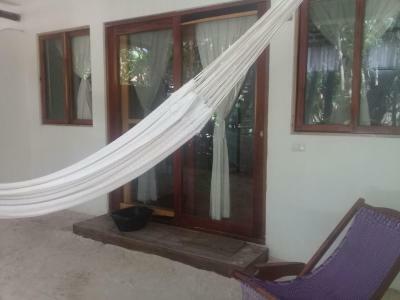 Hotel Dos Ceibas Eco Retreat This rating is a reflection of how the property compares to the industry standard when it comes to price, facilities and services available. It's based on a self-evaluation by the property. Use this rating to help choose your stay! Set on a private area of Tulum Beach, this eco-resort offers a characteristic Temazcal sauna, yoga classes and a range of massages. It is located next to the beautiful Sian-Ka'an Biosphere Reserve. 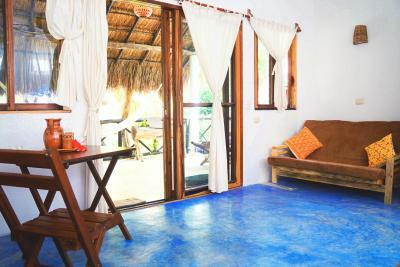 뀐 Located in the top-rated area in Tulum, this property has an excellent location score of 9.0! House Rules Hotel Dos Ceibas Eco Retreat takes special requests – add in the next step! Please inform Hotel Dos Ceibas Eco Retreat of your expected arrival time in advance. You can use the Special Requests box when booking, or contact the property directly using the contact details in your confirmation. Room was very cute but could use an update. Still very charming and cozy atmosphere.